Be careful of over-simplifying cloud. Some cloud applications and services are easy to procure, but you will still likely need customizations and modifications in order to serve your end-users and customers’ well, especially if yours is a complex IT environment. Additionally, managing multiple vendors on top of what you are already doing may make your responsibilities more challenging. Assess your organization’s cloud-readiness. Do you have an overall cloud migration strategy? Have you evaluated and made the business case for taking various applications or infrastructure components to the cloud? A readiness assessment is a fundamental tool needed to determine if your organization is ready to go to the cloud. Developing “as is” and “to be” process maps may be helpful in understanding the dependencies. Make sure that you have fully evaluated the interdependencies amongst systems and applications. Often some consolidation,integration, virtualization, or transformation activities may be needed before going to the cloud. Make sure that you understand why & what is involved. The assessment should provide recommendations including: what is ready to go to the cloud, what is not, what should stay on premise, and how to prepare for the evolution; including general organizational readiness and targeting specific staffing that is available to do the planning and migration. Determine how well the cloud provider meets your needs. a. For Federal Agencies, how well does it meet FedRamp and other Federal requirements? b. How well does the technology handle various workloads when data processing needs may vary (i.e., how elastic is the offering)? Develop a clear understanding of the vendor’s cloud offerings as well as their performance, pricing, and usage. Will it allow for a user to make modifications (e.g., switch from Windows to RHEL or vice versa)? Can it be expanded if needed? c. How innovative is the cloud technology you are considering? Does it go beyond current standards – is it bleeding edge? d. How much support is available to you from the cloud provider? If you need trouble-shooting support, are you on your own, does a “trouble ticket” go into in a general technical support queue, or do you have dedicated resources that know your specific environment and can support you? e. Does the cloud provider’s solution and /or location affect the latency requirement needed for timely processing? f. When applications are upgraded, are the changes driven by the provider’s IT planning and not solely by your IT Strategy? Whose software development and application management lifecycle is followed? Evaluate the cost. Calculate the total cost of moving to the cloud – as well as the ongoing costs. Accurately determining your organization’s future data needs is an important step, or the cloud environment may end up costing you more than you anticipate. As you conduct cost analyses, take into account not only the hardware, software, and service support expenditures but also the project management overhead costs of the migration and subsequent operations and maintenance costs. What happens when the contract ends? Plan the beginning with the end in mind. What will the end of the relationship look like? How will you get your data back and in what format? Remember that although you own the data, the application, hardware and operating system are owned by the cloud provider – in some instances the format of the data is owned by the cloud provider (i.e., you may receive unstructured data). How will you do the migration? This will be one of the most important aspects of successfully going to the cloud. Plan the migration strategy carefully. This cannot be stressed enough. What are your options for minimizing impacts to your processes, security, and external interconnections? Managing the integration points between processes or applications may be more complex with the cloud. Coordinate carefully with the vendor and your stakeholders about the implementation. Create a detailed migration plan, process, and timeline. Make sure that your internal and external resources are solidly confirmed and dedicated to this effort. Closely evaluate the SLAs. What does it guarantee? Agree upon performance metrics and score cards with analyses that are easy to perform. What does the vendor’s technical support process look like, and how does it work? Sooner or later, you’ll need it. Define clear governance structures and processes. Do you have a seat at the table? Will your voice be heard? Clearly define issue resolution and dispute resolution processes. Understand how you will pay for the service. For Federal agencies, is it amiable to the Government’s acquisition and budgeting processes? For more information about TBI’s Cloud Computing please contact TBI or call 201.573.0400. 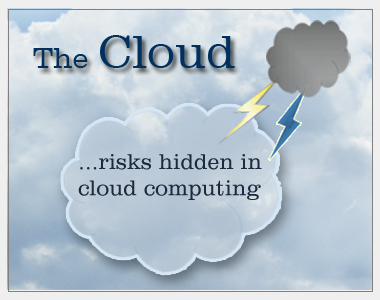 This entry was posted in Blog and tagged cloud applications, Cloud computing, cloud readiness, migration, risk. Bookmark the permalink.